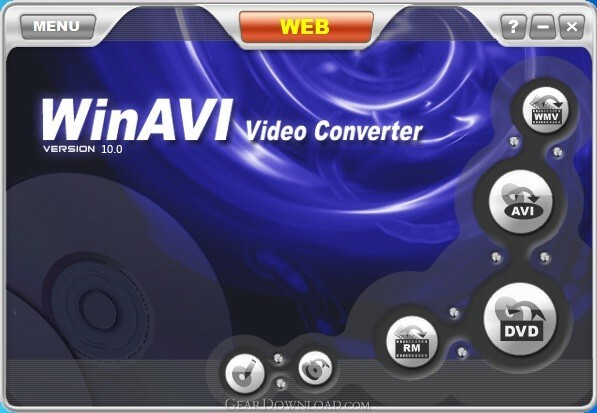 Developer: ZJMedia Digital Technology Ltd.
1.It can convert avi to DVD/VCD/SVCD/KVCD/MPEG/MPG/WMV/RMVB/ASF, even HD format. 2.It supports Flash SWF conversion. 3.It can convert all formats to VCD, SVCD, KVCD, DVD (DVD 4G, DVD 8G), AVI,WMV,ASF, RMVB,MPEG1/2, RMVB,MPEG1/2, even HD formats. 5.Real DVD Navigator encoder included. faster with AVI files including AC3 audio. 7.Real Dolby AC3 audio encoder included. 8.Stunning video and audio quality. 9.User-friendly interface that is easy to use. 10.Has the option to preview the video in real-time. 11.Has the option to automatically shutdown your computer when the conversion is complete. This download (WinAVI_Video_Converter.exe) was tested thoroughly and was found 100% clean. Click "Report Spyware" link on the top if you found this software contains any form of malware, including but not limited to: spyware, viruses, trojans and backdoors.